Elder law planning is a natural progression for your clients and your business. Many attorneys hear the phrase "elder law" and immediately think it’s for “old people” or that it’s only about qualifying clients for Medicaid. We’d like to dispel those myths. 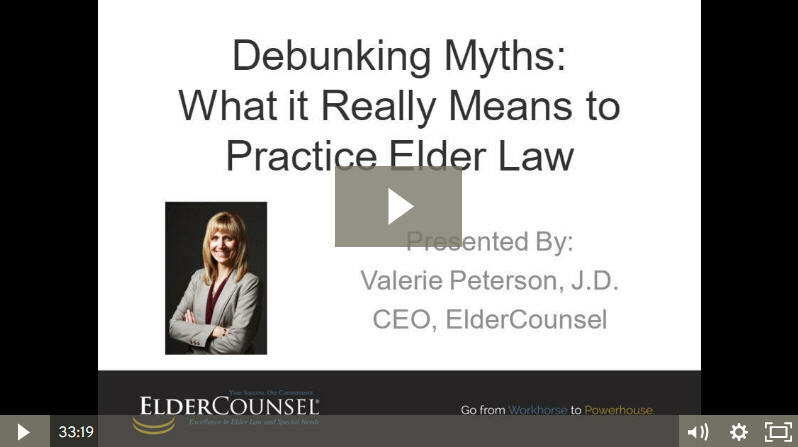 Watch this 30-minute interview with an experienced practitioner who will share insights on what it means to practice elder law, and why this is the most rewarding practice area you can choose. Further, you will learn why elder law planning is a natural progression for your clients and your business.